City life for any twenty-something fresh out of college independent gal is both exciting and nerve-wracking. It holds unlimited possibilities and endless opportunities for anyone coming to terms with living on their own and going after that dream career. I remember preparing for that first job interview feeling anxious but excited, ready but vulnerable. At the same time, I was sure of what I wanted, feeling secure in this city where I’ll be building my career and life at. But living in the city has its downsides too. With Cebu’s very busy lifestyle, bipolar weather and crazy traffic, dirt, pollution and the unforgiving heat often take a toll on one’s skin. City dirt and pollution makes my skin look dull, and it needs to be addressed with a sold beauty arsenal. I am very particular about what I use for my skin because not all products out in the market work for me. I’ve used a soap before that left me squeaky clean after shower but almost instantly left me feeling tight all over (tightness is a sign of dry skin). A complete and reliable cleansing regimen starts with a soap that cleans thoroughly without leaving my skin dry— and Palmolive does exactly just that. 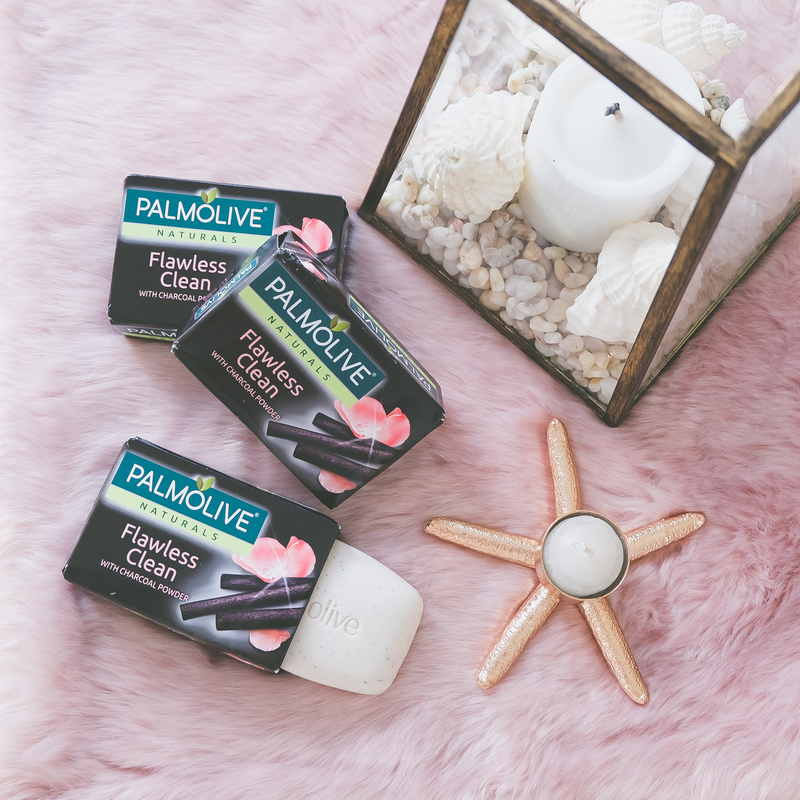 Palmolive Naturals Flawless Clean is the first charcoal-infused soap from Palmolive in the Philippines. It helps cleanse the skin and eliminate everyday dirt after every shower, giving me a youthful, flawless glow. Now I am more confident to go about my daily routine without worrying about dryness and flaunting my clean and glowing skin! 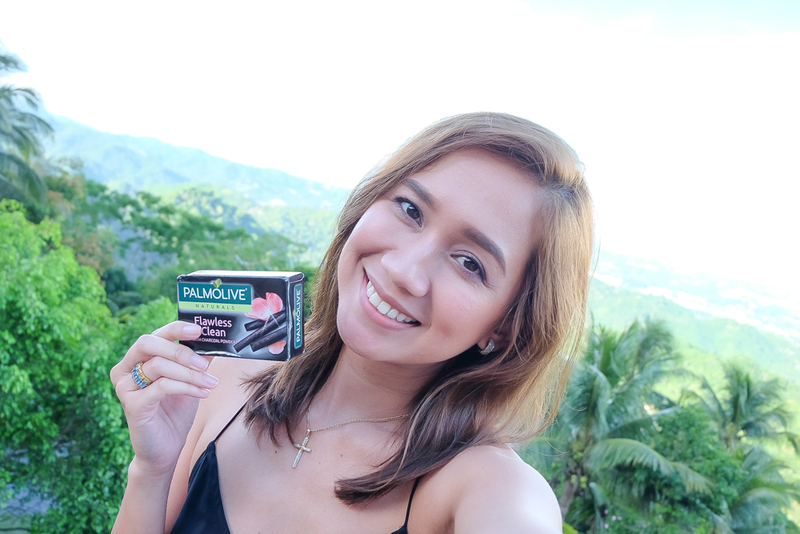 You too can achieve flawlessly glowing skin with Palmolive Naturals Flawless Clean Soap and win an exciting staycation package at the same time! All you have to do is submit a glowfie or a glowing selfie taken in your favorite part of the city wearing your favorite black outfit and tell us how Palmolive Natural Flawless Clean helped you glow in your city. Once your entry is validated, your #PalmoliveGlowfie will be posted on www.palmoliveglowfie.com where a glow will be added to your location. The more glowfies submitted, the brighter the map glows to show a city full of flawlessly glowing women! Five (5) girls with the best entries will be chosen to receive a staycation package for two (2) in their own city or locale worth Php 20,000! Visit www.palmoliveglowfie.com for details and prizes! I can’t wait to see your Palmolive Glowfies girls!